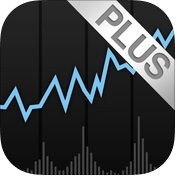 Are you looking for the best real time professional grade stock market apps for your iPhone and iPad? If your answer is YES, then stop searching, you're at the right place, here is the list of 8 best professional stock market apps for iPhone and iPad. With the help of these stock market apps, you can easily track stock market's ups and downs and trade your portfolios with major brokers anywhere, anytime, on the go. You can use any of these professional stock market apps, according to your needs. There are many stock market apps on Apps Store for iOS devices but here we've listed only 8 best professional stock market apps for iPhone and iPad. 1. Stock+Option: stocks market and options analysis ( iPhone + iPad + iMessage + Apple Watch ) :- If you want to learn trading with the help of professional stock market apps, you can use Stock+Option:stock market and options analysis app. It is one of the best and user-friendly stock market apps for iPhone, iPad, iMessage and Apple Watch. This stock market app can improve your investing. 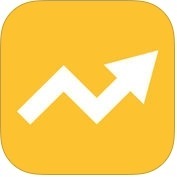 This amazing stock market app has lots of features such as live advanced quotes, price alert of stock and options, strategic trading alert & block trade alert, multiple watch-list management, extensive financial information, daily open interest & max pain calculation, big money option scanner and more useful features. You can see live portfolio tracking and instant reporting with details on your iOS devices. This app has lots of unique features such as stock touch displays, power of data visualization and financial information, quick data loading, monitor price and volume, fluid navigation, custom watch maps can be imported, exported and share via social networks. You can also watch the stock market as it unfolds and quickly dive into data to uncover insights and trends on companies and sectors. It is also extremely easy to use stock market app for your iPhone and iPad. 2. 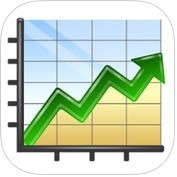 Stocks Live HD: Stock Market Picker Game Changer ( iPhone + iPad ) :- This is one of the best and most advanced stock market apps for iPhone and iPad. With the help of Stocks Live HD:Stock Market Picker Game Changer app, you can easily track the stocks and trade your portfolios with major brokers anywhere, anytime. This stock market app has several fantastic features such as free sync & trade with major brokers, buy or sell signal that works, more than 450 maket activities, scans & user-defined filters.earning and Ex-dividend date calendar, fast and smooth user interface, private backup for portfolios and watch lists, unique chart viewer and more. You can also search for stocks, ETFs, mutual funds, indexes, world currencies on your iPhone and iPad. 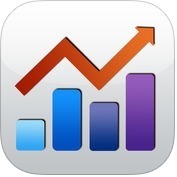 This is is one of the best and easy to use stock market apps for iPhone and iPad. With the help of this app, you can mange multiple stock portfolios and track your gains in a beautiful and user friendly interface, It has several amazing features such as beautiful design for retina display, unlimited portfolios contain unlimited stocks, key details (such as price or earnings, ratio, market cap etc), and more. You can also track your gains and losses by stock and by entire portfolio, and easily search and add stocks using company name or symbol on your iPhone and iPad. 3. 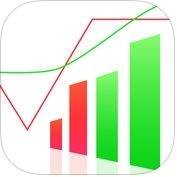 Stocks Pro : Real-time stock,forex and chart ( iPhone + iPad ) :- Are you looking for a comprehensive stock app for your iOS devices? 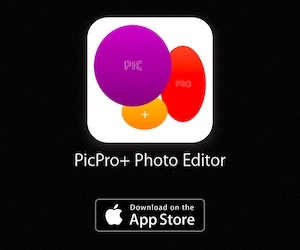 If yes, you can use Stock Pro:Real-time stock, forex and chart app for your iPhone and iPad. This stock market app has lots of multiple watch lists & portfolios, real-time alerts, market single scans, stock scanner, economic news, events & earnings, and more unique features. You can also create and add unlimited symbols to existing watchlist on your iPhone and iPad. 4. Stocks Live+ Stock Market Game ( iPhone + iPad + Apple Watch ) :- With the help of this stock market app, you can trade with major brokers. Stocks Live+ Stock Market Game app has a lot of unique features such as global coverage, buy or sell signal that works, unlimited multi-currency portfolios & watch lists, heat map visualization, view the us stock market grouped by sector and industry, unique chart viewer, fast and smooth user interface, multi-currency support aggregated to your local settings or per portfolio currency and some other useful features. 5. Stock Market HD: Real Time Stocks Tracker + Forex ( iPhone + iPad ) :- It is also one of the best and useful stock market apps for iPhone and iPad. Stock Market HD:Real Time Stock Tracker+Forex has lots of features such as quick reference list to track all the stocks you choose, beautiful design for retina display, chart view to visualize change over time, key details such as daily open, high and low volume, price or earnings, ratio, market cap etc. You can also browse all news related to a particular stock and share stories through social networks. 6. Stock TickerPicker - stock charts & watchlists ( iPhone + iPad ) :- Do you want a powerful and professional stock market app for your iPhone and iPad? If yes, you should use Stock TickerPicker-stock charts & watch-lists. This stock market app has a lot of unique features such as real-time intraday price quote streaming, daily native technical charts, customizable watch lists of most-viewed stocks with multiple watchlist groups for different sets of companies you track and more amazing features. 7. 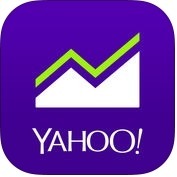 Yahoo Finance ( iPhone + iPad ) :- With the help of Yahoo Finance app, you can add stocks to your watchlist to get real-time quotes and a personalized news stream, and you can get all the financial information you need with sleek, you can track currencies, commodities and more. Yahoo Finance app is one of the most beautiful and user-friendly stock market apps that are available for free on App Store for iPhone and iPad. You can also sync your portfolios across devices. 8. 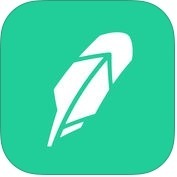 Robinhood - Free Stock Trading ( iPhone + iPad + Apple Watch ) :- If you want to learn trading in an easy way, you can use Robinhood-Free Stock Trading app on your iPhone, iPad and Apple Watch. It allows you to buy and sell stocks for free. With the help of this professional stock market app, you can access market data and quotes in real-time, you can check your portfolio's overall performance on your Apple Watch. 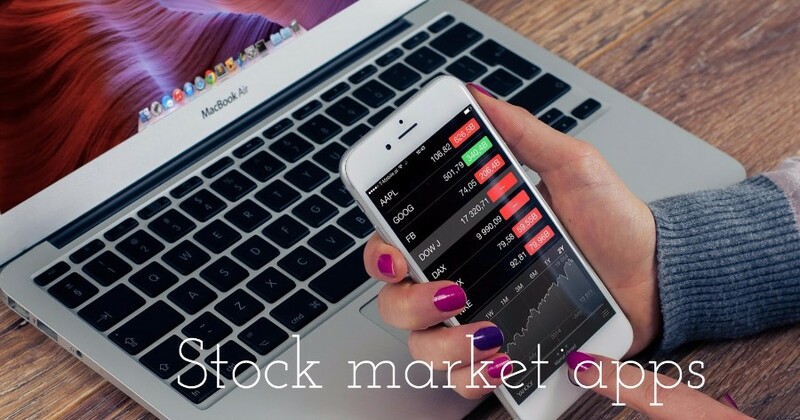 This stock market app has several awesome features such as build a personalized stock watchlist with historical market data and detailed charts, account protection, authenticate with touch id or set a custom PIN code and more.